On Tuesday, John Lasseter was honored with a well-deserved star on the Hollywood Walk of Fame. 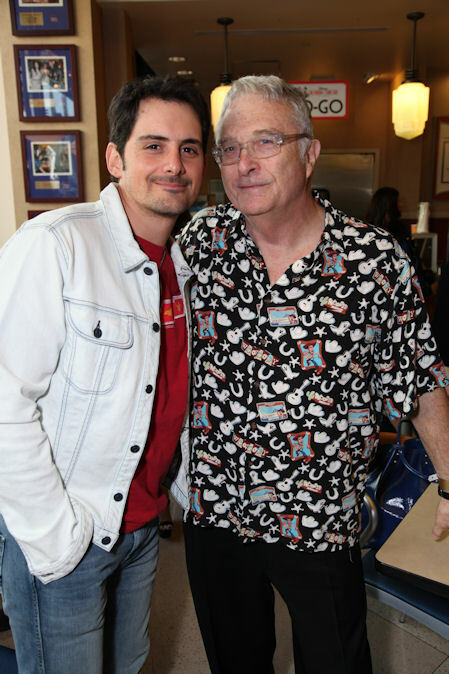 The Chief Creative Officer with Walt Disney and Pixar Animation Studios attended the unveiling with a host of friends, family, celebrities and colleagues. 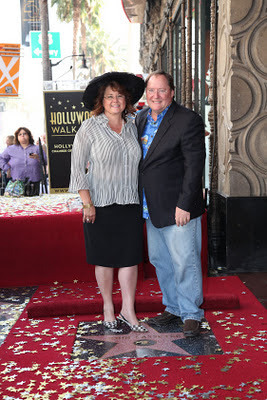 Lasseter's star is 2,453rd on the famous walk and is located just outside the El Capitan Theatre. 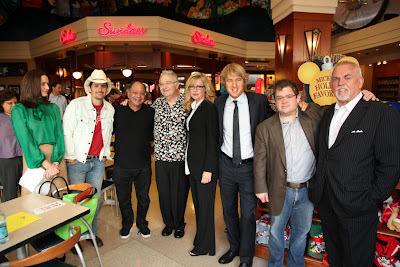 Following the ceremony, guests were treated to an exclusive luncheon and after-party at the El Capitan and Disney's Soda Fountain and Studio Store, catered by celebrity chef Guy Fieri. The event coincided with the release of the Lasseter-directed Cars 2 on home video. 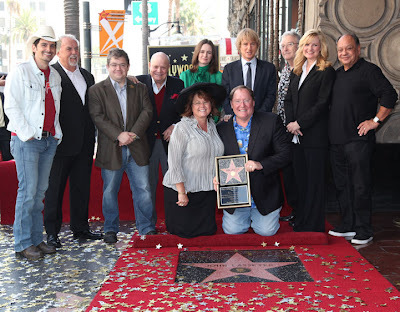 John Lasseter gets his star. 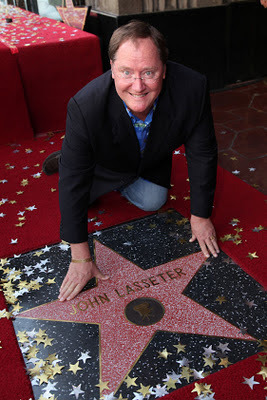 Lasseter gets zinged by Mr. 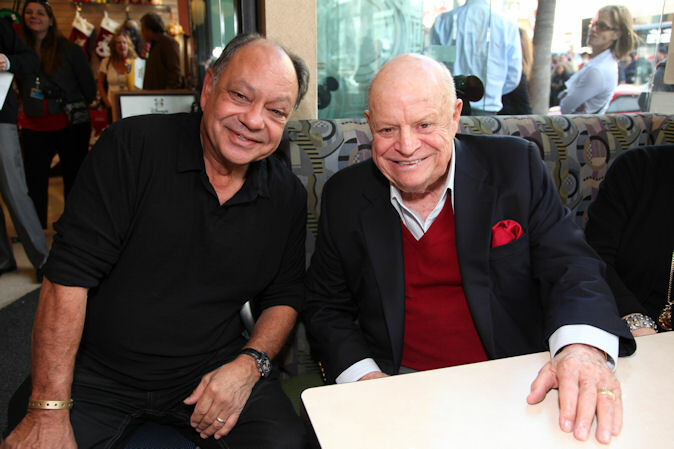 Potato Head himself, Don Rickles. 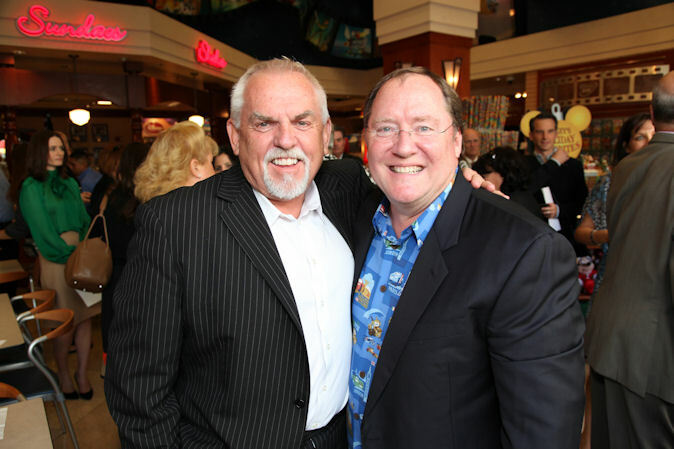 During the ceremony, Pixar's perennial "good luck charm" John Ratzenberger stole the show with an explanation of why he's voiced a character in every Pixar feature film. 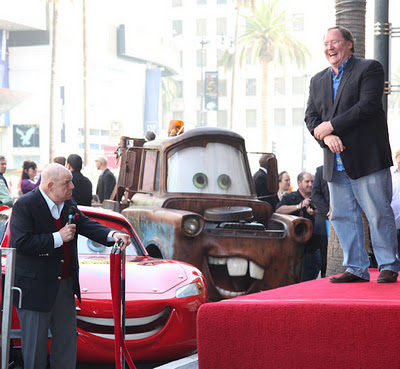 In a fitting tribute, John Lasseter honored Pixar's late co-founder, Steve Jobs. 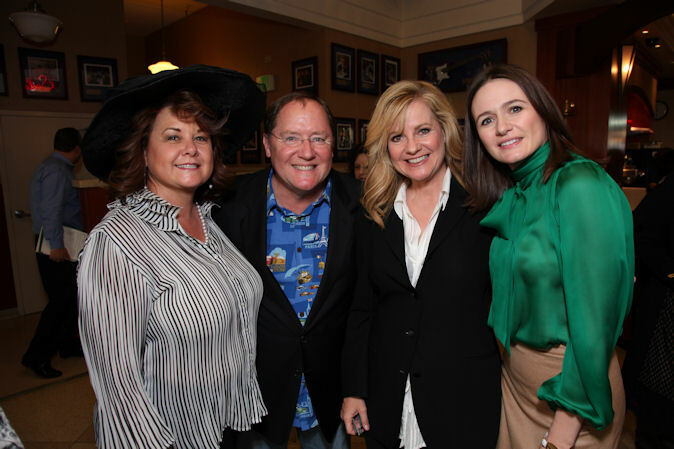 Bonnie Hunt, Emily Mortimer, Brad Paisley and John Lasseter comment on the day's honor and honoree.